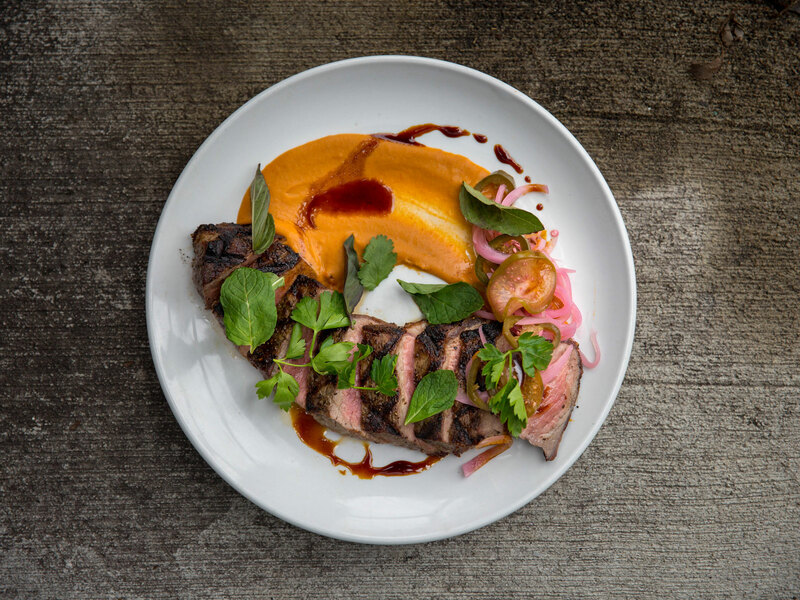 Middle West and Watershed are redefining one of Ohio's most promising restaurant scenes. Chef Jack Moore had several reasons not to move back to Columbus, Ohio, in the middle of 2016. For starters, he already had a coveted executive gig at Cleveland's —one that came right after working under recent James Beard Award-winner Jonathon Sawyer at . Then there were his reservations about the Columbus dining scene, which he felt was dominated by chains and noticeably lacking in A-list talent. But the more he thought about a potential chef de cuisine position at , the more it felt like the perfect opportunity. Here was a slate that couldn't be any blanker: the state's first tasting room-turned-restaurant, something that wasn't even possible before a pivotal reform bill passed on May 25. Up until that point, it was illegal for distilleries to serve anything beyond quarter-ounce samples (sans ice and mixers) or produce more than 10,000 gallons of liquor a year. Now they could make 100,000, and finally compete on a level playing field with brewpubs and wineries. The only question Watershed owner Greg Lehman had about its expansion plans heading into late 2016 was how this whole food thing was going to work. Were they going to focus on cutting-edge cocktails and simple, light snacks, or attempt something far more ambitious? "In the beginning, we didn't want to spend a ton of money," says Lehman. "We thought, 'Maybe we'll get a microwave and some cans of soup, or a cool food truck to park outside.' But then we started thinking about our brand and how we don't want to just beat the guy down the street; we want our bar and restaurant program to be world class." "I really needed to know what they wanted out of a restaurant before I got onboard," says Moore. "Are we trying to create an experience here or just make money? Because a turn-and-burn restaurant is not my idea of what a restaurant is." A quick scan of Watershed's menu, which launched in January of 2017, makes it clear that's simply not the case. Printed daily to account for seasonal, short-lived ingredients and ever-evolving recipes, it's both familiar and completely surprising. A locally sourced half-chicken isn't just roasted, for instance; it's brined in Jasmine tea and an Indonesian spice blend, and served alongside an herbed Charleston gold rice salad and pickled cauliflower. While its components are chicken and rice—a Midwest staple—its bright flavors are beamed straight out of Southeast Asia. Elsewhere, five-spice baby back ribs are presented over a smoky pile of burnt hay; two smash burgers are crowned with caramelized fennel, chili crisp aioli, and a slick taleggio cheese sauce; and a massive, bone-in pork belly is cured and cut with red eye gravy, pork skin gremolata, lettuce cups, and more pickled vegetables. "Let's get real," says Moore. "Some of the stuff on my menu can be a gut buster. The 18-ounce bacon steak is like eating a whole pack of bacon in one sitting—a big piece of pork fat, essentially. But those big flavors can stand up to a hot whisky or a complex, fruity cocktail." That's good to know, because Watershed's drink menu is like nothing we've ever seen before. Completely revamped according to a new theme several times a year, it's presented like a prankster's art project or high-concept zine. When we first visited, the menu was modeled after a high school yearbook; every specialty cocktail was shot against a '90s-style laser backdrop and named after senior superlatives. Our favorite? Most Likely to Be Tardy, which paired Watershed's popular Four Peel gin with lemon, grapefruit, Green Chartreuse, aquafaba, and a cordial made of matcha and celery. Not to be outdone, subsequent menus—a collaboration between current bar director Josh Gandee (also of the consulting agency ) and graphic designer Greg Davis ()—have channeled everything from IKEA's dreaded instruction manuals to Columbus' sorely overlooked fashion scene (see: its annual event). 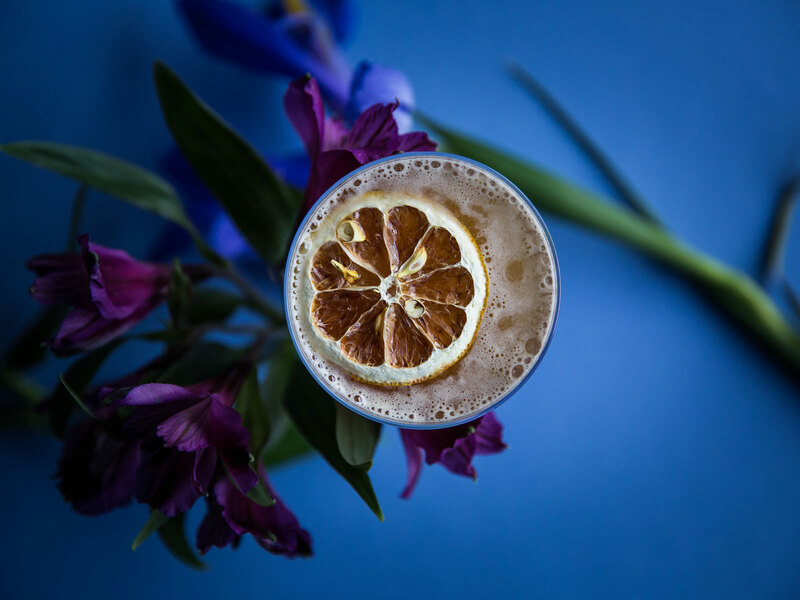 All while incorporating outre ingredients like roasted Jimmy Nardello peppers, a martini-ready MSG solution, and a "sustainable simple syrup" composed of herb and fruit scraps. "When a cocktail menu is visually compelling," says Gandee, "it allows the guest to order with their eyes—shoot first and ask questions later, if you will. We feel it's more important for them to be asking 'why do I like this?' instead of 'will I like this?' The kitchen is also part of the conversation so they'll have pairing ideas long before the menu launches and every piece sings in harmony." In a lot of ways, Watershed's success is a reflection of how Columbus has reimagined itself in recent years, with the city's immigrant-powered restaurants getting the attention they deserve (North Market's Momo Ghar stand is a perfect example) and more chefs taking bigger risks. 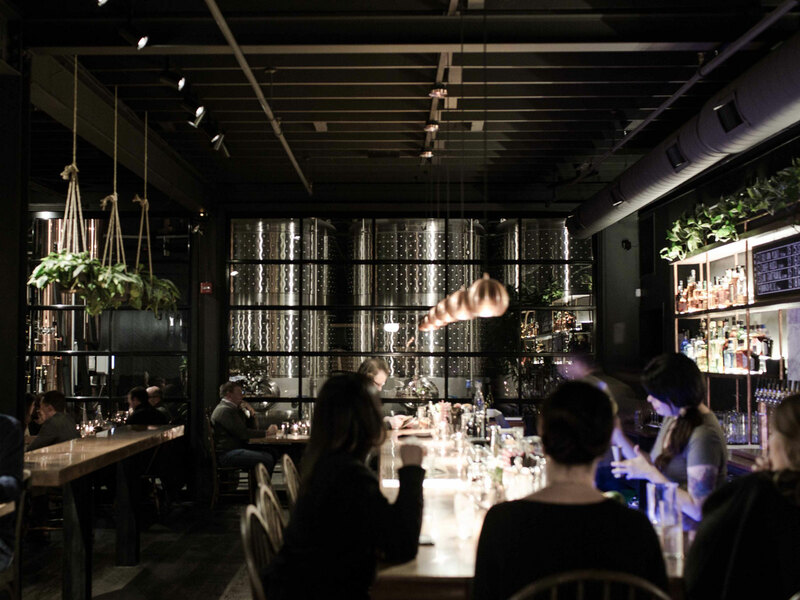 This is especially noticeable in the Short North neighborhood that houses Watershed's main competitor () and the rightfully acclaimed restaurant (Service Bar) that now sits where their stills once did. "Service Bar isn't just an extension of our brand," says general manager/owner Brady Konya. "It's a test kitchen for innovation. We wanted to create a space that felt true to our DNA, where the food and beverage program sat shoulder to shoulder with our spirits —a space where risks could be taken and we could obsess over every tiny detail of the experience." Konya and Middle West co-founder Ryan Lang have found quite a foil for their award-winning spirits in chef Avishar Barua. An alum of Mission Chinese and WD-50 in New York City, Barua's menu is a deeply personal, and undoubtedly fun, mix of his Columbus upbringing and the Bangladeshi dishes his family cooked when he was a kid. This is why some of his best sellers read like fine-dining renditions of fast food or takeout, including crispy ribs with fried and pickled broccoli, Commander Tso's sauce, and radishes. 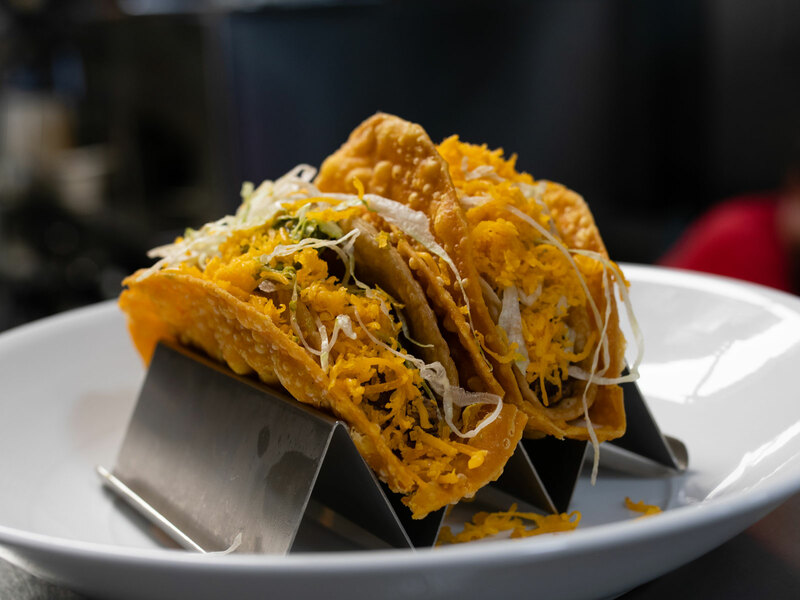 There's a brilliant take on the Taco Bell cheesy gordita crunch that wraps oak-smoked brisket, pepper jack queso, and salsa guasacaca in a crispy tortilla and Bengali fry bread, and a burger-and-fries combo reveals just how obsessive Barua is about every aspect of his recipes. "We've had people quit over the French fries," he says. "They've just walked out the door and never showed up again." Listening to him recount the seemingly countless steps they involve—hand-cut potatoes, a potato starch, glucose and salt brine, several rounds of frying and freezing, three days of prep work—we can't exactly blame them. But as a diner? Why, we should all be hugging Barua for his heroism. "The funniest part of the French fries is that they're not even on the menu," he says with a laugh. "They just come with the burger." 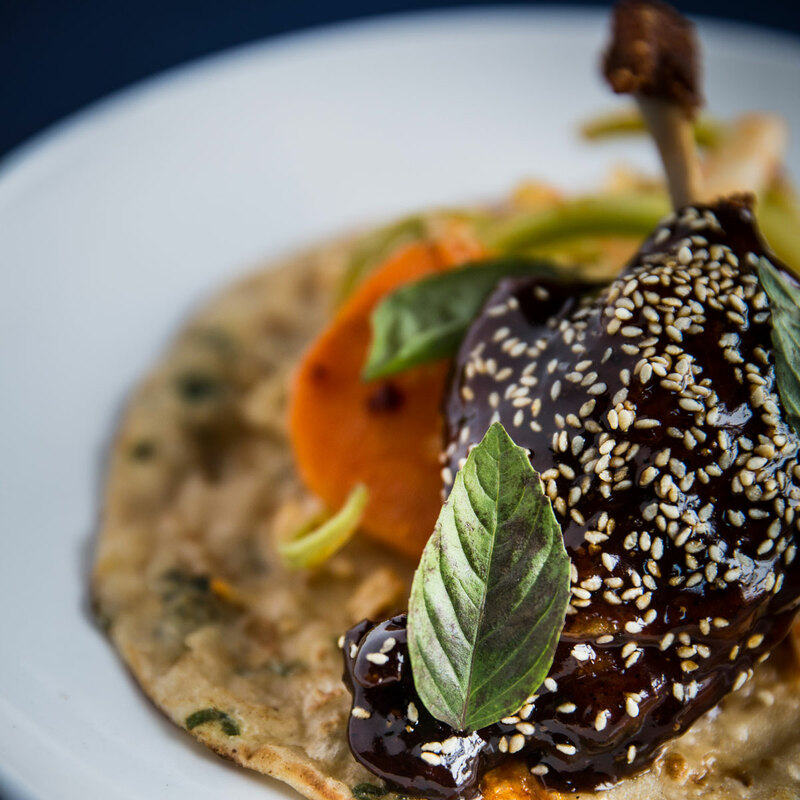 One mainstay on the menu that's nothing like even an elevated Burger King or McDonald's is Barua's "Whole Chicken Service". The generous spread is a nod to the traditional meals Barua had with his family during the summertime, including a tandoori-roasted chicken breast, chai-brined fried chicken legs, murgir jhol chicken curry, a cauliflower and egg masala, and caramelized onion naan. It's not the only multi-part meal option Service Bar has offered since it opened in the fall of 2017, either. 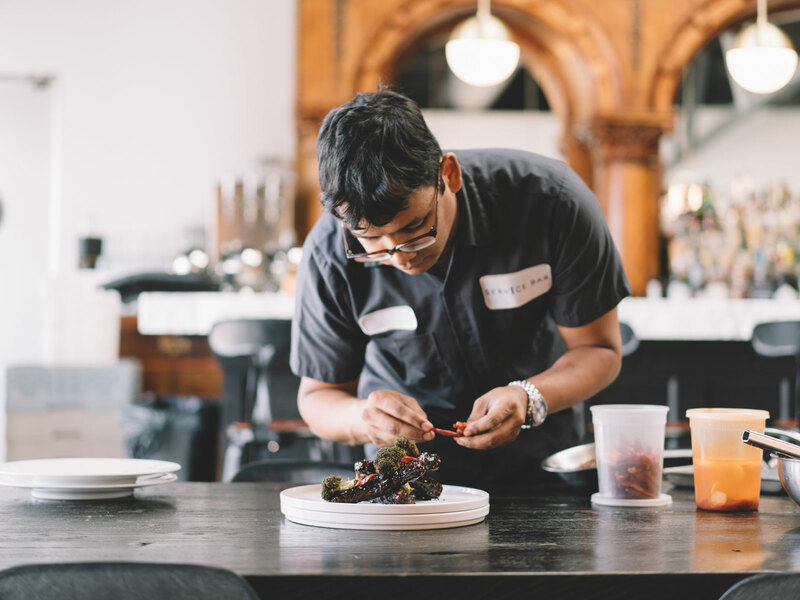 When we stopped in, Barua was preparing nine "root to stem" variations on carrots, including a jerky, caramelized purée, and meringue. "In the beginning, we were scared and it didn't sell," says Barua, "But it eventually picked up and I remember thinking, 'It's actually happening. People in Columbus, Ohio—a place people used to always call meat and potatoes, Ohio—are now eating a plate of carrots.' Ten years ago, I wouldn't be able to get people to eat half the things they're eating now. I'm very happy for that." He keeps pushing things forward, too, right down to a secret menu of specials that's listed on its own every Wednesday night. "Hospitality is the most important thing," he says. "That's why our menu is designed so that anyone can eat anything. Hopefully it tastes pretty good and is somewhat familiar, and if you want to look more into it, you can see there's some depth and work involved. And if you don't care; if you just want to have a good time and eat some food, that's also fine. I'm not judging you, because that's what burnt me out on the fine dining scene. He continues, "For me, cooking is about making the best food you can in the most efficient way possible—seeing how everything comes together. If I was just making grilled cheese sandwiches, I would spend months testing different cheeses, breads, and griddles until we ended up with the best grilled cheese I ever made in my entire life."